Patience Bersheba Taylor, known as "Pachie" to family and friends, was born in Winston County, Alabama on December 23, 1879. Her parents were William Carroll and Sarah Saphronia (Evans) Taylor. 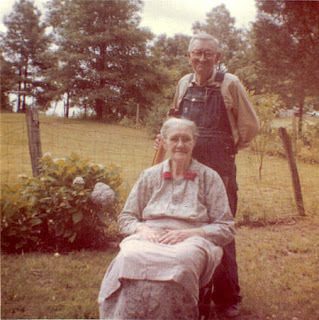 Pachie was the granddaughter of John and Eliza (Cagle)Taylor. Pachie grew up in Winston and married John Aaron Stevens, son of Adam Bird and Mary (Whatley) Stevens. The wedding took place on September 29, 1901 at the home of Pachie's father, William Carroll. She was 21 years old. Pachie and John lived near Liberty Grove Baptist Church, among other Taylor and Stevens families. They had two sons, Hosey Ottis and Verbon Stanley. Twins were also born, but died in infancy. 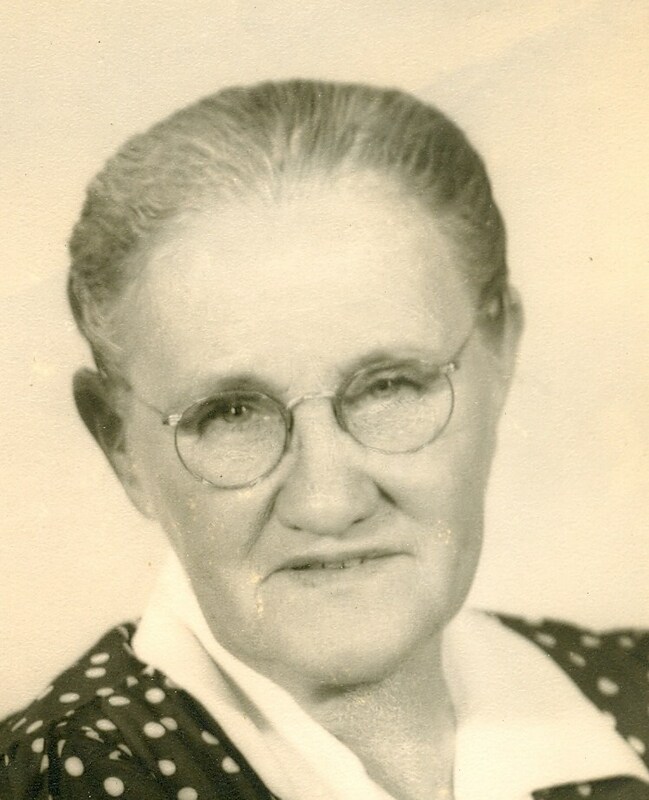 When their youngest son Verbon was 3 years old, the family loaded up their possessions in a covered wagon and moved to Lawrence County, Tennessee. They settled near Lawrenceburg and lived out the remainder of their lives in that state. Many folks from Winston County migrated to Lawrence County, Tennessee. Several other sets of Taylors made the move also. But Pachie and John would return for visits to Winston over the years. The homecoming each year at Liberty Grove Baptist Church would often bring them back. Pachie always wore an apron...and wore a "special" apron on Sunday. She was a hard working woman. One of her many tasks was producing thread on her spinning wheel from cotton that John grew in the field. She used the thread to fringe bedspreads and other items. The spinning wheel remains in the family with another granddaughter, a treasured keepsake. Perhaps the most memorable legacy she left me was her steadfast belief in the importance of education. Her husband, John, could not read or write, although he could "figure" and "calculate" board timber. Grandpa John wanted Verbon to quit school when he was finished with grammar school. He needed him to work on the farm. But Grandma Pachie put her foot down and said she wanted Verbon to stay in school and get an education. Verbon did stay in school! My father, Verbon, tried to teach his father how to read when he was an adult. But Grandpa wasn't interested. My father always thought his dad was too proud or embarrassed. The family story was passed down to me, and even though it didn't seem like a big deal to me as a child, I learned how remarkable Pachie's thoughts were as I grew up. Times were hard and the family's living conditions were very humble. 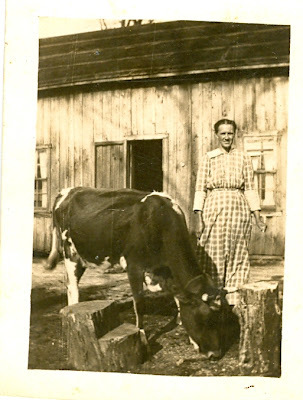 Having another farmhand to work would have made the family's life a tad bit easier. But Pachie knew what the future could be for her son if he stayed in school.